Research by Towards Maturity shows that 76% of people use the internet to support them in their job role. On top of that, 1 in 4 people say they can’t actually find what they need online to help them with their workplace learning needs, or that content is irrelevant. That’s a lot of wasted time searching and not finding answers. So the question is... can you afford to put your organization’s learning into the hands of a third party algorithm? People have come to expect personalized experiences. From Spotify recommending songs we might like to the supermarket vouchers that know our favorite brands, personalized experiences have become part of everyday life. The reason that personalization is everywhere is that it delivers better results. Better results for individuals and better results for businesses. Learning content and experiences designed for our individual needs, skills gaps and context, are more likely to bring about performance changes than a generic initiative. 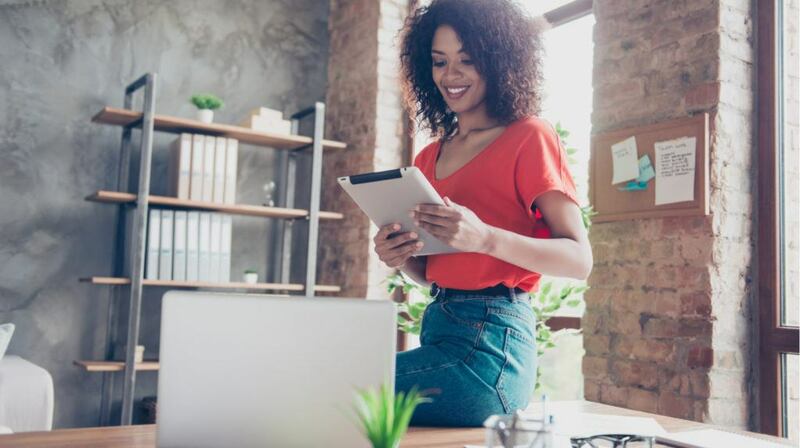 As well as being more rewarding and engaging for the individual, it is this type of eLearning which delivers better ROI for the organization too. Personalized And Adaptive Learning: What’s The Difference? Personalization is about targeting individuals, addressing their needs, context, and goals, and providing the right content, tools and/or experiences to help them. Adaptive learning does everything that personalized learning does, but ‘live’ and in the moment needed. It uses algorithms to detect a user's behavior and provide personalized recommendations. It’s automated and can work on a micro-level of detail. Read our ultimate guide to personalized and adaptive learning. Know your audience – to personalize experiences, you need to know who you’re aiming to engage. This template will help capture your audience needs. Take a people-centered design approach – involve your end users in the design process, get feedback, and test out ideas as you go. Keep it simple! Don’t overcomplicate things for yourself, start off with some simple personalization techniques such as role selectors or using clips to replay names back. Guide users with diagnostics – look for adaptive technologies or smart authoring tools that enable you to set up diagnostic experiences. This means that you can serve up specific topics or support resources that match your needs. 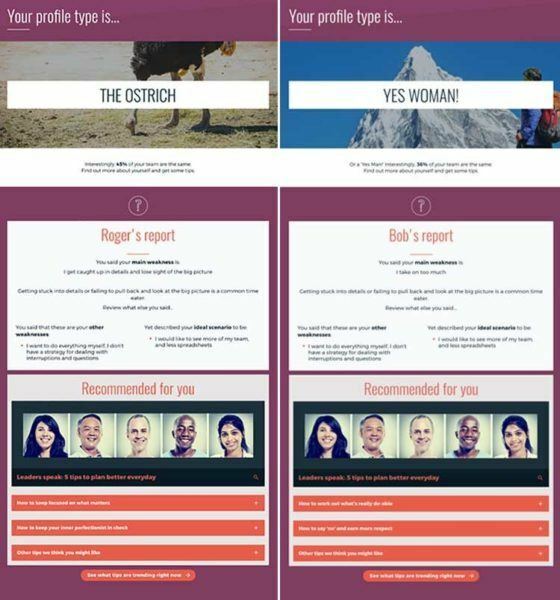 Report back to users – try using adaptive technology to play back action plans and feedback. This can help people to reflect on their journey, choices so far, strengths or gaps etc. Get more detail on these ideas here. Take a look at these 3 examples, created with Elucidat, that use different techniques to personalize learning experiences. This helps you diagnose time management issues and provides tailored help. It uses rules, clips, social polls, and embedded content. This example uses a personalized ‘test-out’ approach to annual compliance training. 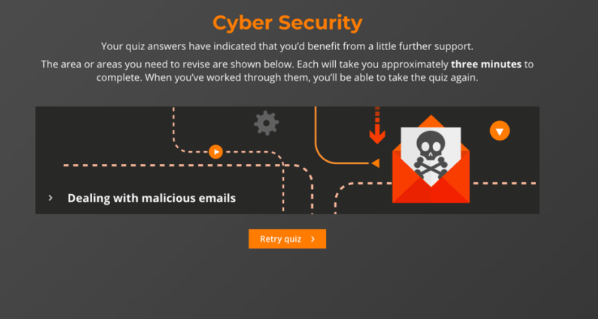 It uses a quiz to assess gaps and serves up short, relevant learning topics where needed. Think how much time this could save an organization where they currently ask thousands of employees to wade through the same mandatory training! Watch the Designer’s Cut video to see the design choices behind this example. 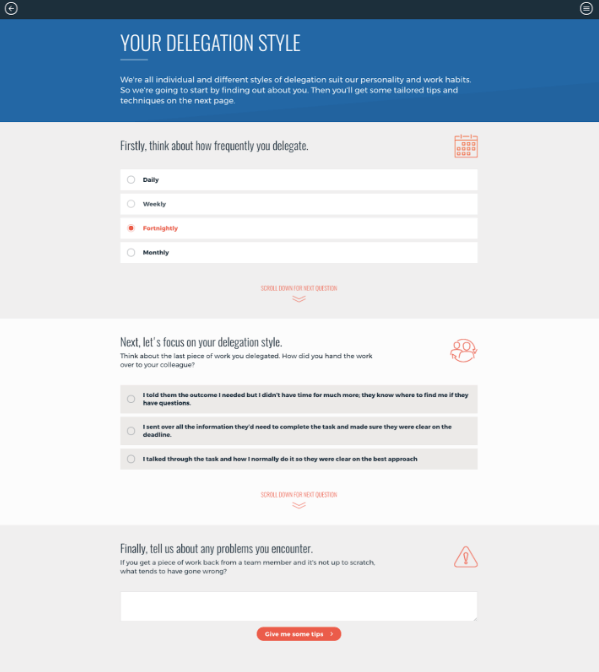 Personalized action plan and scenario This experience asks users to reflect on their delegation style before offering up a tailored action plan. It includes a scenario with social polls, and uses rules and clips to personalize the experience. Get more detail in our ultimate guide to personalized and adaptive learning experiences. Don’t have the right technology to help meet this challenge? Get a demo of Elucidat.